Herbies of the Week: A Look Back At All The Inspiring Stories of 2013! It has been an incredible (incredible!) year. 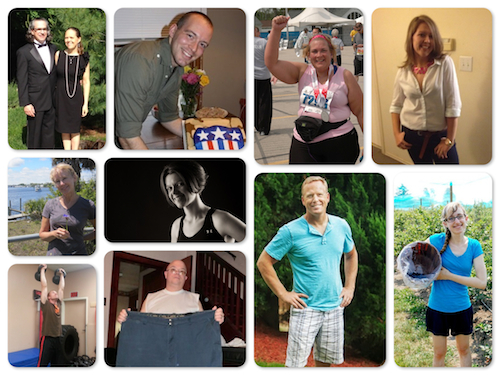 So many people are changing their lives thanks to a plant-based diet. 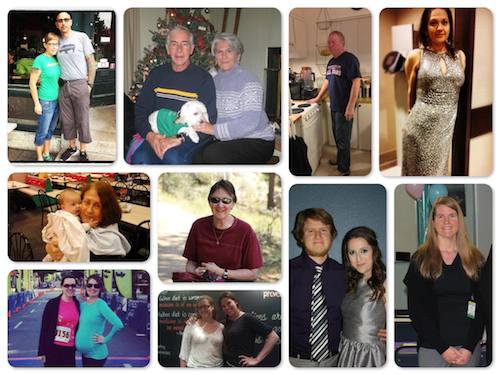 We had so many AMAZING stories in 2013, and I already have more inspiring stories lined up for 2014! Lives are changing! Here's a look back on all of our 2013 Herbies of the Week!!! Brenda lost 35 pounds and lowered her cholesterol, but also slowed the progression of ALS (Lou Gherig's) disease thanks to her plant-based diet. Daniel lost 40 pounds and lowered his cholesterol after switching to a plant-based, oil-free diet when his body started having a "meltdown" at 68. Mama and Papa Herbivore went plant-based after my dad had a mild heart attack in 2012 and haven't looked back since! Jenn dropped 47 pounds in only 8 months! She also stopped having back pain, acne, and dandruff. 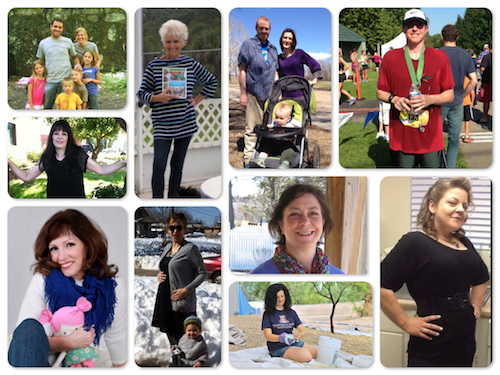 Margret switched to a plant-based diet during the first trimester of her pregnancy. Everything went smoothly; her weight was balanced, she was able to sleep and stretch marks were practically nonexistent. At only 25, Kelsey lost 27 pounds, lowered her cholesterol and her ALT liver function is now normal after only 8 months of changing her lifestyle. Gina lost over 130 pounds after adopting a healthy vegan and gluten-free diet (which included the meal plans!). A former low-carber turned dairy-loving vegetarian, Ami finally found health with a plant-based diet. As a result, she lost 40 pounds and got her cholesterol in check! Feeling like she had no control over eating, Erin was diagnosed with high blood pressure and type 2 diabetes. After her sons moved out, she went completely plant-based and now she is off all of her medications! 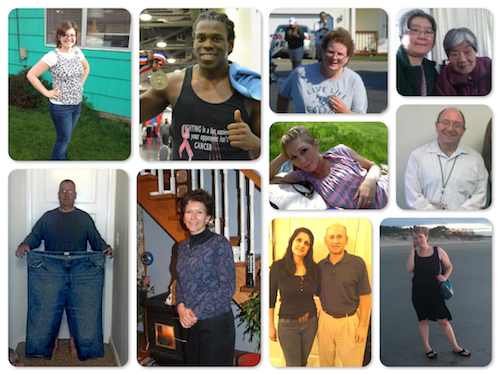 Ruth has lost 155 pounds, reversed her medical issues (high blood pressure and diabetes) and feels absolutely amazing! Cam is not only vegan, but also a 10x National champion boxer! 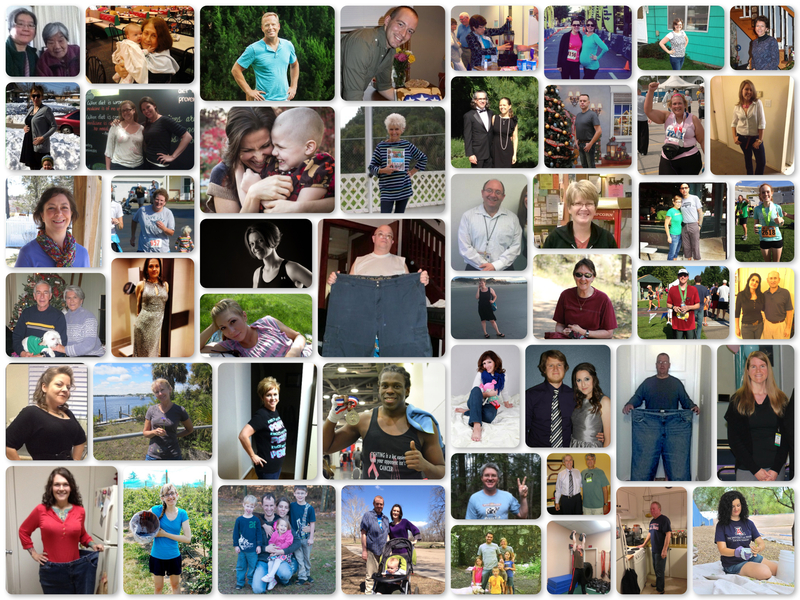 He attributes his success (and 40+ pound weight loss) to his plant-based diet. Dustin is now 160 pounds lighter, no longer has high blood pressure and has an increased libido. Katie dedicated herself to plant-based eating after experiencing what she thought was an ulcer. Since then, she has lost 45 pounds and feels better all around! David experienced amazing changes since going plant-based -- and fast! After only 9 weeks, he lost 31 pounds and went off his blood pressure meds. Diana (and her mom Lucy) both lost weight (30 pounds!). Lucy was also able to decrease her blood pressure medication, which she was prescribed after suffering a stroke. Through a plant-based diet, Darlene overcame crippling pain and depression with the added bonus of a 65 pound. weight loss! At 55-years-old, Deb went vegan and lost 20 pounds. She's also off one of her blood pressure medications and ran her first 5K! Beth reversed her infertility related to Polycystic Ovarian Syndrome (PCOS). She also lost 72 pounds, reversed her IBS and was able to get off her meds! Retired NYPD captain Sheldon went plant-based after 2 heart stents. He's now an Exercise Physiologist and four-time National Karate Champion at 53. Rhanda no longer has IBS, her migraines have decreased and menstrual cycle is normal. Lydia switched to a plant-based diet after being diagnosed with thyroid cancer in her early 20s. Not only did she lose 20 pounds, her ovarian cysts never returned, IBS woes began to improve and her hemoglobin levels were within the normal range. Sarah went from 267 pounds to 164 pounds in less than two years after adopting a plant-based diet! Glenn lost 80 pounds, reversed his heart disease and is completely off his diabetes medication. Mary lost 14 pounds, no longer needs medication for digestive issues, and has found simple joy in food and fun activities. After hitting a plateau in her weight loss, Leah educated herself on the perils of meat and dairy products and ended up losing 75 pounds by going plant-based. While being plant-based in the Army isn't always easy, Tebben is able to maintain a healthy Herbie lifestyle. Sherry is down 85 pounds, started participating in 5Ks, and training for duathlons. Keith not only lost 40+ pounds, he also lowered his cholesterol and is no longer diabetic. 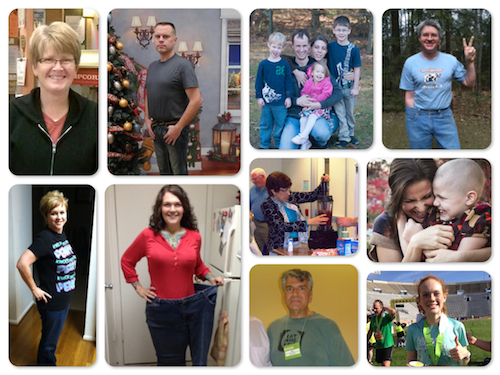 Lynnette is back to the same weight she was in high school and college while her husband John is off his ADHD medication, reversed digestive issues, and lost weight. Their children are also enjoying plant-proud meals and have started to make their own changes. Jeremy made the switch from a paleo to plant-based diet after "hitting a wall" while training in Krav Maga. He since has gained more muscle and continues to get stronger. Sarah S. beat gestational diabetes after transitioning to a plant-based lifestyle following the birth of her daughter. She also lost 40 pounds and passed her blood sugar test while pregnant with her son. Carol F. made the switch to plant-based at age 75 and has a healthy relationship with food for the first time in her life. She's also off 3 of 4 medications. Since making the switch to a plant-based lifestyle, Debbie's MS complications have greatly reduced, she's lost 55 pounds, no longer needs medication, and has inspired her family to go plant-based. Ginnie lost 48 lbs, is no-longer pre-diabetic or obese, and is tapering off her blood pressure medications. Pamela B went vegetarian after learning her risk of cancer increased by 40%. She has since lost 74 pounds! The Parker Family transitioned from paleo to plant-based after James (dad) found out he had high blood pressure at the age of 30. The entire family has experienced wonderful changes, including the kids. Jeremy W lost over 70 pounds (and 15% body fat) and his wife Michaela is back to her pre-pregnancy weight. At only 33, Brian was diagnosed with stage 3 colon cancer. Inspired by his wife's vegan diet and wanting to improve his health, Brian went plant-based and ended up losing 50 pounds. Elizabeth shed an incredible 100 pounds in less than a year! Elondra went vegan/vegetarian after seeing the changes in her parents. Although it's difficult to maintain a vegan lifestyle in college, she has joined her university's Food Committee to help provide healthier options and educate students. Russ (our 100th HOW) lost 119 pounds and went off ALL of his medications for high blood pressure, high cholesterol, high triglycerides and depression. Lindsay B. lost 50% of herself (141 pounds total!) by eating right and exercising. Jim S. dropped 65 pounds and continues to preach the word of good eating. Jane switched to a plant-based diet after her daughter, Sophia was diagnosed with Leukemia. A year later, there has been no sign of cancer in Sophia's body for months. Jane is also feeling great and ran her first triathlon. Scott C. no longer has heart disease and is off his beta-blocking medications. Sally beat late-stage ovarian cancer and is 6+ years cancer-free since adopting a whole food, plant-based diet. Aubrey C.'s personal records for her track events have continued to improve since becoming a Herbie. On top of losing 45 pounds, Peggy lowered her blood pressure, cholesterol and triglycerides,and no longer has complications with chronic constipation. Christy went plant-based after discovering her cholesterol was at an all-time high. In less than a year her cholesterol dropped, she's off her medications, and lost more than 45 pounds! Kaley and her entire family experienced incredible benefits from going plant-based. Kaley's borderline diabetes, moderate ulcerative colitis, chronic back pain, and severe anemia are all healed. Her husband no longer suffers from eczema and her children's "bad" behaviors like moodiness, irritability, being anti-social, temper tantrums vanished. Congratulations to all of the 2013 Herbies of the Week and thank you for sharing your stories!